I was in between events and making a mad dash to Bowery Street in New York City, when I spotted this sign outside a local shop and I just had to stop and take a picture of it! FTC Disclosure: This is NOT a Sponsored/Compensated Post. 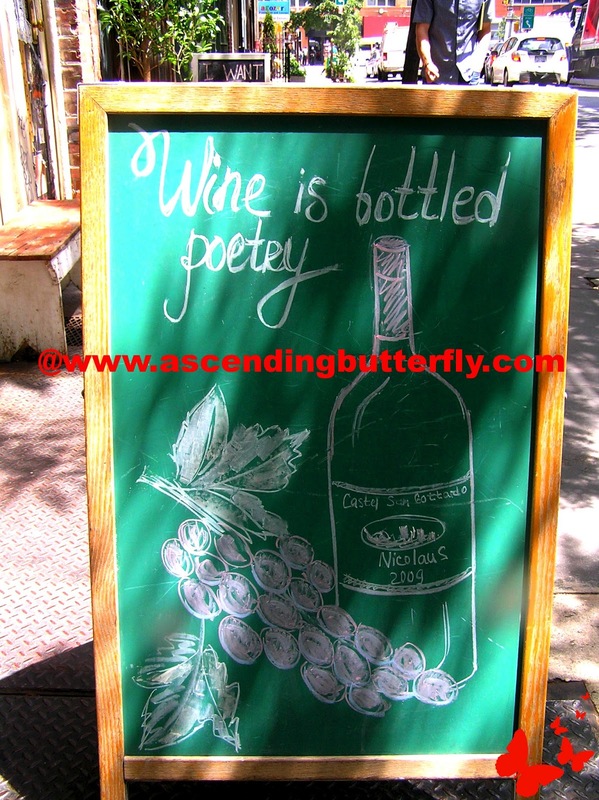 Love this sign and so true , there's nothing like a lovely chilled glass of wine on a hot summer day and good friends ahhh Poetry !!! @Big Happy Buddha - I agree!